Between 1982 and 2016, the number of "marine heat waves" roughly doubled, and likely will become more common and intense as the planet warms, a study released Wednesday found. Prolonged periods of extreme heat in the oceans can damage kelp forests and coral reefs, and harm fish and other marine life. "This trend will only further accelerate with global warming," said Thomas Frolicher, a climate scientist at the University of Bern in Switzerland, who led the research. "We knew that average temperatures were rising. What we haven't focused on before is that the rise in the average comes at you in clumps of very hot days — a shock of several days or weeks of very high temperatures," said Michael Oppenheimer, a Princeton University climate scientist who was not involved in the study. Some free-swimming sea animals like bat rays or lobsters may shift their routines. But stationary organisms like coral reefs and kelp forests "are in real peril," said Michael Burrows, an ecologist at the Scottish Marine Institute, who was not part of the research. "One in every four fish in the ocean lives in or around coral reefs," said Ove Hoegh-Guldberg, a marine biologist at the University of Queensland. "So much of the ocean's biodiversity depends upon a fairly small amount of the ocean floor." It didn't include the recent record-breaking measurements off Scripps Pier in San Diego — which reached 79.5 degrees Fahrenheit on August 9 — but Frolicher and Miller said the event was an example of a marine heat wave. Marine biologists nicknamed a patch of persistent high temperatures in the Pacific Ocean between 2013 and 2016 "the Blob." 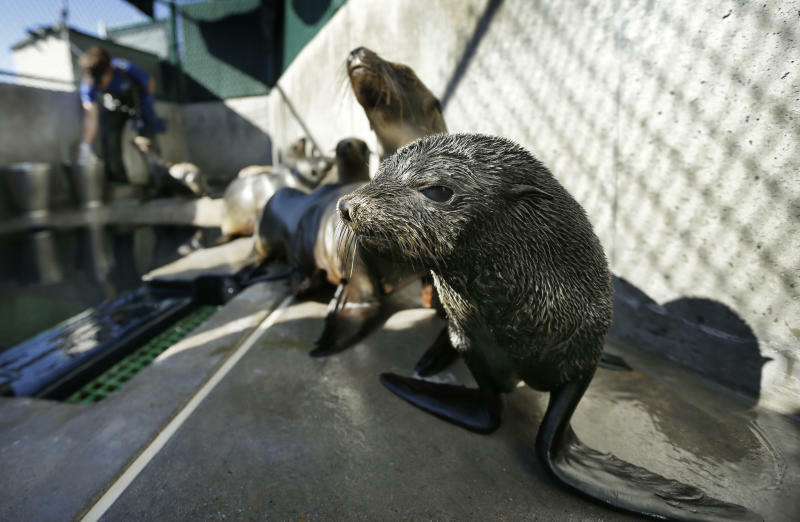 During that period, decreased phytoplankton production led to a cascading lack of food for many species, causing thousands of California sea lion pups to starve, said Miller, who had no role in the Nature study. "We've repeatedly set new heat records. It's not surprising, but it is shocking," he said.